Heloise Jones is an author, speaker, and mentor for creatives. She assists writers and others getting to the heart of what they need to complete their projects and sustain their creative lives. Her background includes years of study in craft, process, and the publishing industry, plus fields of wisdom and experience from a host of supportive holistic tools. Most importantly, she processes all the ways writers and creatives get waylaid. She lives in Santa Fe, New Mexico. My blog “Getting to Wise. A Writer’s Life” is published one to two times a week. Posts alternate between a writers’ lesson-guide and stories for navigating through life. “The Creative Life for People Living in the Real World” is a fun and informative audio program and guide to lasting creative freedom, based on the principles in The Writer’s Block Myth. 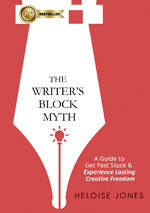 #1 Amazon Bestseller, The Writer’s Block Myth is a practical and inspirational guide created for people living in the real world. Whether you’re a seasoned writer or new to the page, The Writer’s Block Myth is more than a motivational guide or book of exercises. It holds the keys to get past stuck, complete your goals, feed your creative Soul, and help you sustain your creative life. The voices and stories of other writers are woven throughout the book, plus short, easy exercises and tools to support your process. The Writer’s Block Myth is a culmination of hundreds of hours of conversations and work with writers, artists, and creatives, as well as interview-conversations conducted with writers of all levels, interests, and experience. It’s one to put on the corner of your desk or in your bag, and refer to often. 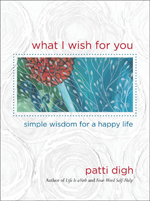 A beautifully illustrated collection of wisdom from around the world with heartfelt insights for any age.